Jiffy Mix is giving away free copies of their recipe books so make sure to get your hands on one if you are into baking and cooking. Follow our link and supply them with your details to receive yours. Click GET FREEBIE button and then get your free Jiffy recipe book. Sun-Maid is giving away free copies of their Anniversary cookbook. Follow our link and fill up the form with your postal details and they will deliver it right at your doorsteps. Click GET FREEBIE button to visit Sun-Maid website now and order your free cookbook. Sterling Vineyards is giving away free wine guide so you can better know about your wine. Follow our link and supply them with your details and they will send you a free guide. Click GET FREEBIE button and then order your free wine guide today. You can get a free copy of Mr. Food Game Day Favorites recipe book. Follow our link, click Get Free Book button and then supply them with your details and they will send you a free copy. Click GET FREEBIE button and then get your free recipe ebook containing 30 best recipes. You can get a free copy of Cake Mix recipe book that contains dozens of delicious yet simple baking recipes. Follow our link, click the button on next page and provide them with your details to get your free copy. Click GET FREEBIE button and then get you free Cake Mix recipe ebook. 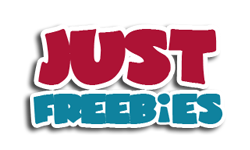 Pel Freez is giving away free recipe books so hurry up and get yours before they run out. Follow our link and supply them with your shipping details and they will deliver it to you. Click GET FREEBIE button and then order your free recipe book today. You can get a free copy of Christmas craft book that will teach you how to make beautiful craft using old junk in your home. Follow our link, click Get Free Book button and then supply them with your details to get yours. Click GET FREEBIE button and then get your free Christmas Crafts ebook. You can get a free copy of Thanksgiving Pies & Desserts cookbook that contains dozens of delicious yet simple baking recipes. Follow our link, click the button on next page and provide them with your details to get your free copy. Click GET FREEBIE button and then get you free recipe ebook. Get a FREE Halloween Spooky Treats and Party Eats Recipe Book for Free. Features recipes for Halloween-themed drinks, appetizers, dinners, desserts, and more. Follow our link and get yours right away. Click GET FREEBIE button and then order your free Halloween recipe book. You can get yourself a free book for kids from Bushel & Peck. Follow our link, signup and then share your unique url with friends and family and you will get this book for free in return. Click GET FREEBIE button and then register and help them spread the word to get this freebie. You can get a free copy of Mr. Food No Bake Desserts book. Follow our link, click Get Free Book button and then supply them with your details and they will send you a free copy. Click GET FREEBIE button and then get your free desserts recipe ebook. You can get free Yoplait YQ Yogurt & Composition notebook from Meijer. Follow our link, register on Meijer mPerks for free and you will find a coupon to claim this offer. Click GET FREEBIE button and then claim these freebies by join their reward program. For all the wine lovers out there, this is the perfect freebie as you can get a free Wine Guide. Follow our link and click ‘Click here for the Book’ button and supply them with your details to receive yours. Click GET FREEBIE button and order free wine guide right away.